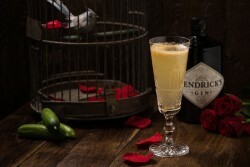 If Hendrick’s Did Christmas Cocktails…..
50ml Gin 25ml dry Vermouth A few Rosemary and Thyme leaves Shake over ice in a Boston shaker and strain into a chilled martini glass. Garnish with a small sprig of each herb. Ca. 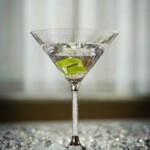 1938 – Rainbow Grill 2 ½ oz Plymouth Gin ½ oz Noilly Prat dry vermouth Stir well with cracked ice. Strain into chilled cocktail glass and garnish with a cocktail onion.